Ex-Spice Girl Melanie Chisholm says she was lucky to “survive” after eating nothing but fruit and vegetables for years. 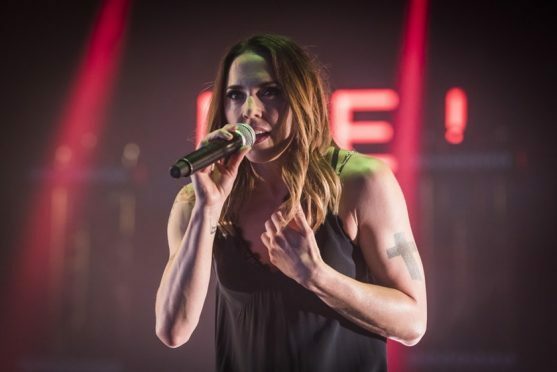 The singer, 43, known as Sporty Spice in her days in the band, struggled with an eating disorder and depression while in the limelight. In the TV series In Conversation With, the star tells comedian John Bishop just how bad her relationship with food became. “I started to restrict my food to a point where I was just like – God only knows how I survived – but I think for maybe a couple of years, maybe it couldn’t have been that long – but I was just eating fruit and vegetables,” she said. Chisholm said in the show, to air on TV channel W later this month, that she had felt “guilty” about her success. “I grew up in a household where money was tight” and there was “nothing spare”, and “all of a sudden… you’re making millions”, she said. With her new-found wealth, she “almost became the head of the family”. “I was so young and it’s a huge responsibility,” she added. The I Turn To You singer has spoken about being bullied in the Spice Girls, but did not name names. “People can kind of make their own guesses but there were some stronger people in the the band,” she said. The mother-of-one said that “young artists” were not protected in the “way that they should be”. With “social media” and “real prying into people’s private lives”, the world we live in now is even more scary, she said. John Bishop: In Conversation With Melanie C airs on Thursday October 12th on W.